Have you faced discrimination, sexual harassment, or wage theft at work? Have you been the victim of wrongful termination, retaliation, or another employment violation? An employment lawyer in New York City can help. You may be entitled to back pay, punitive damages, penalties, and other financial compensation. 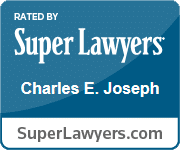 Employment law attorney Charles Joseph brings over twenty years of experience. Charles Joseph offers free consultations to discuss your case, and he works on contingency, which means he only gets paid when he recovers money for you. Do you need an employment lawyer? Learn more about your rights and take steps to protect yourself if your rights have been violated. Our employment lawyers NYC resources explain wrongful termination, discrimination, retaliation, sexual harassment, hostile work environments, and other employment violations. We will fight for your right to fair pay and fair treatment at work. And our employment lawyers answer the phones directly. You need an NYC employment lawyer with a track record of success. Charles Joseph and his firm have recovered over $120 million for clients. Federal judges have praised the firm as ‘best in breed’ and for the ‘doggedness with which they pursued relief for their clients.’ Contact employment lawyer Charles Joseph for a free consultation and find out if you have a claim today. This site helps workers understand their rights under federal, state, and local law, with a focus on New York City. 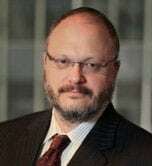 Charles Joseph is the founder of Joseph & Kirschenbaum LLP, a law firm that has recovered over $120 million for clients. Federal judges have praised the firm as "best in breed" and "particularly impressive." He designed Working: Now and Then as a resource for workers and those who care about them. By exploring current employment law, as well as the history of working, Working: Now and Then promotes a better understanding of workers’ legal protections. The Your Rights articles are available in English, Spanish, French, Russian, Chinese, Arabic, and Urdu.